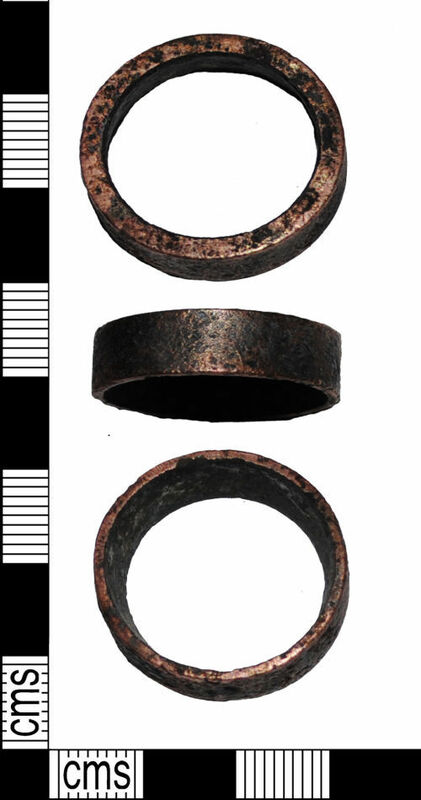 High copper content copper alloy, or copper, object of unknown purpose or date, but probably modern dating. It is possibly a bush, ferrule or ring. There is unusual wear and patination, possibly as a result of use in machine of some sort. The diameter is 25mm and the weight 5.54g. The wall thickness varies from 1mm to 2.5mm.